Although the brewing scene in the UK is exploding, it seems that the retail side of things has stagnated a little. Only a few years ago, the big supermarkets were falling over each other to expand their beer ranges, exploring new breweries and generally doing an excellent job. Lately I feel they’ve lost focus. Half their former beer shelf space has been re-allocated to selling “flavoured ciders” – this generation’s alcopops – and what beers remain have been largely static. There are some terrific independent bottle shops, but even blessed as I am to live in London, they’re something of a journey and I seldom make the effort. As a result, the majority of my beer buying happens online. When I was approached by BelgianBeerz.com, I confess I wasn’t initially convinced. 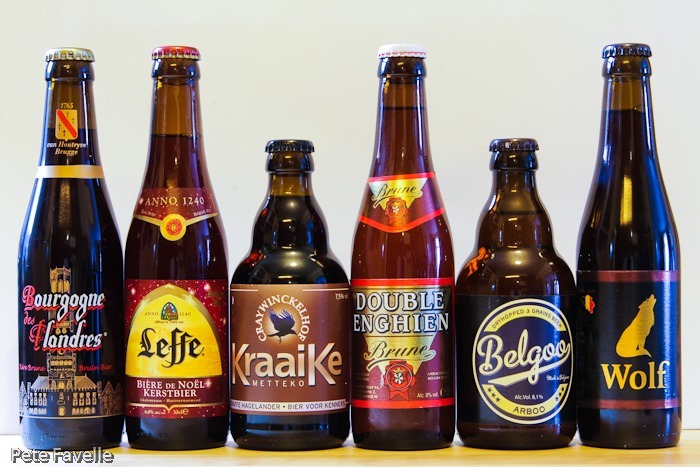 There are some excellent UK-based online shops which carry a fairly respectable range of Belgian beers and the headline delivery cost almost put me off looking further – as everything is shipped from Belgium, it starts at an eye-watering €20. But I’m glad that I paused to do the maths. Yes, the delivery is high but that is largely offset by the beer prices – most beers are, in Euros, 80%-90% of the best UK price I can see, in Pounds. With the exchange rate working in your favour as well, it makes the overall cost exceedingly reasonable. To pick some random examples; a case of Palm (a beer I’ve always had a soft spot for, for utterly un-beer related reasons) can be at your door for a little over £46 – a touch cheaper than from the best UK retailer. Kwak, a beer that everyone should try not just because it’s delicious but also because it has such a terrific name, comes in at £60 for a delivered case – a full tenner less than buying it in the UK. It’s not all about the money though – a significant proportion of Belgian Beerz’s stock is stuff I’ve simply not come across outside of Belgium. While I haven’t gone through the full list, I picked a fairly random collection of a dozen mostly strong beers and the most comprehensive UK supplier I found only offers 7 of them. Still, it’s not all plain sailing. As others have talked about before, buying beer online can be a frustrating experience. Belgian Beerz isn’t perfect, although it’s by no means the most frustrating beer site either. 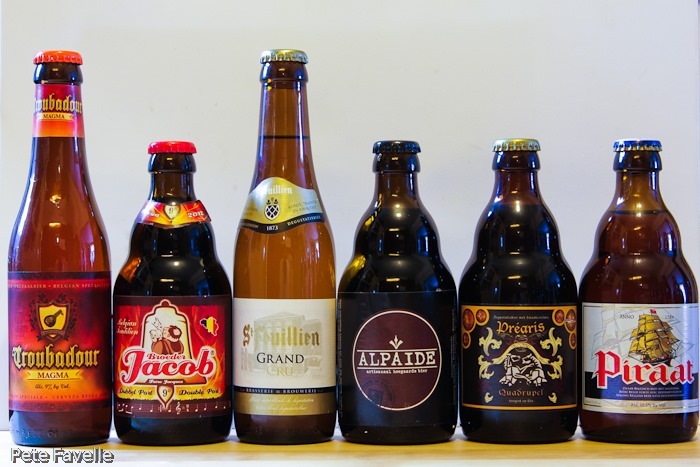 The beers are fairly sensibly categorised by type, so that if you’re looking for only dark beers, or the oh-so-trendy Gueuze it’s all just a click away. The search facility is smart enough to give you all the answers you want, with none of the “oh we thought you might be interested in this random product instead” results you often encounter. I’d like to see some other options – an easy way to search by ABV, for example – but that may just be me. However, a black mark against the site is that there is no way to buy beers from either the category lists or search results – you have to go into the individual beer’s page to find a ‘buy’ button. This can get very tedious if, like me, you tend to buy a large number of individual bottles rather than a case of two or three beers. I suspect a large part of this is that buying beer is different from buying a book, or a pair of shoes, or unicorn meat. In all those cases, you search for your product, you pick it from the list, and you finish the purchase. With beer, however, you pick one beer and then another, and another, until you’ve filled up the box / reached your weight limit / run out of money, so any system that interferes with that flow becomes annoying. The other annoyance is the shipping calculator; shipping is based on weight, so it’s pretty important if you’re trying to save Euros to get as close to the point at which the shipping costs go up – every 20kg – as you can. The shopping basket has a handy button to work the shipping costs out, but whenever you add more beer (or even adjust the quantities of beer already in your basket) the bloody thing resets itself to thinking that you live in Alabama. This is probably quite useful for people who happen to live in Alabama, but for the other 99.93% of the world it’s less helpful. The delivery isn’t cheap, but the beer itself really is, and it is coming from Belgium, impressively well packed with each bottle lovingly and individually bubble-wrapped and buried in the traditional box-of-polestyrene quavers. 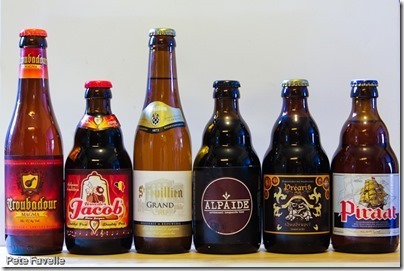 Overall, the excellent prices and impressive range earn Belgian Beerz a permanent home on my “beer shop” bookmark list. Pete Drinks was generously offered a sample box by Belgian Beerz. How long time did it take, from your orderdate until you got it delivered ? This was a *long* time ago, but because I’m terrible at ever deleting anything I still have the emails – it looks to have been 5 days from placing the order to having the beers in my hands.